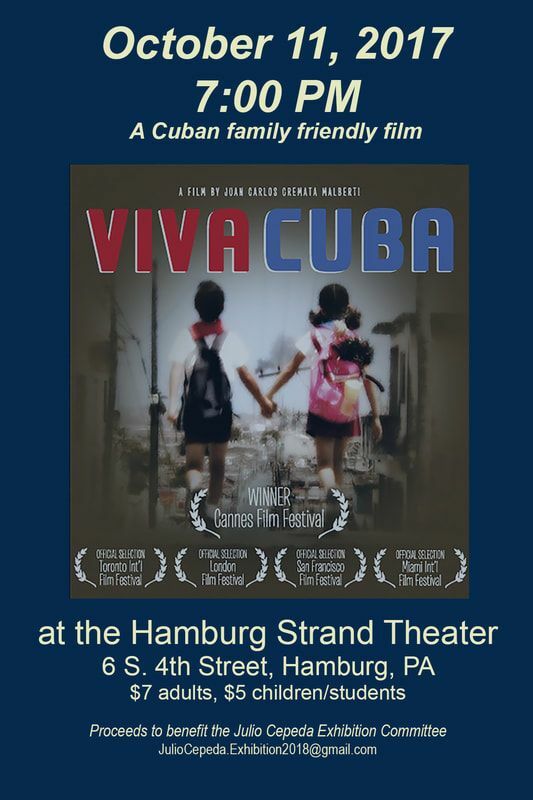 Come see Viva Cuba, a 2005 Cuban movie directed by Juan Carlos Cremata and Iraida Malberti Cabrera. It was awarded the Grand Prize for children's cinema at the 2005 Cannes Film Festival. It is playing for the first time at the Hamburg Strand Theater, 6 S. 4th Street, Hamburg, PA. This is a family friendly event. It benefits the Julio Cepeda Exhibition 2018 Committee and will aid our effort to bring Cuban artist Julio Cepeda to Reading in 2018. Tickets are $7 for adults and $5 for children/students. This is a lovely Romeo and Juliet type love story about two young people from different social classes in Cuba. Don't miss it!